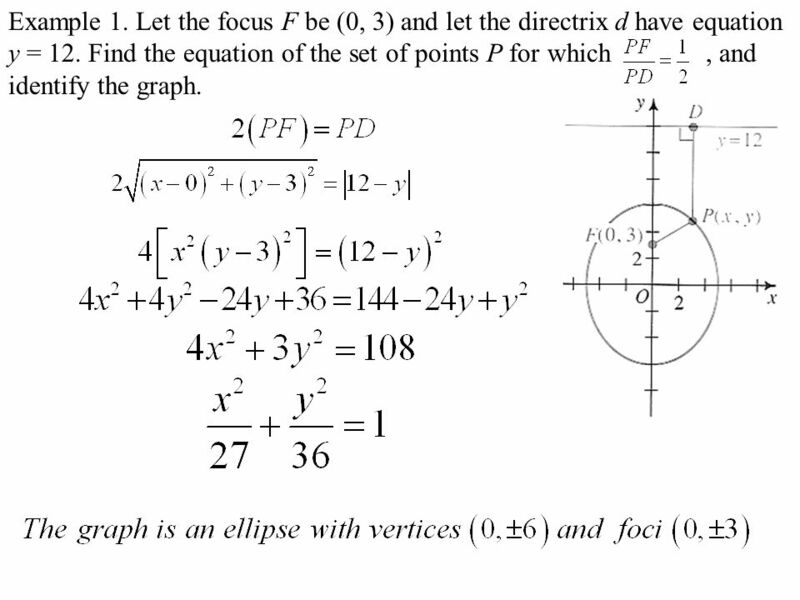 If P is a point in the plane, of d and F, the set of points for which the ratio PF:PD is the constant e. The number e is the eccentricity of a conic section. 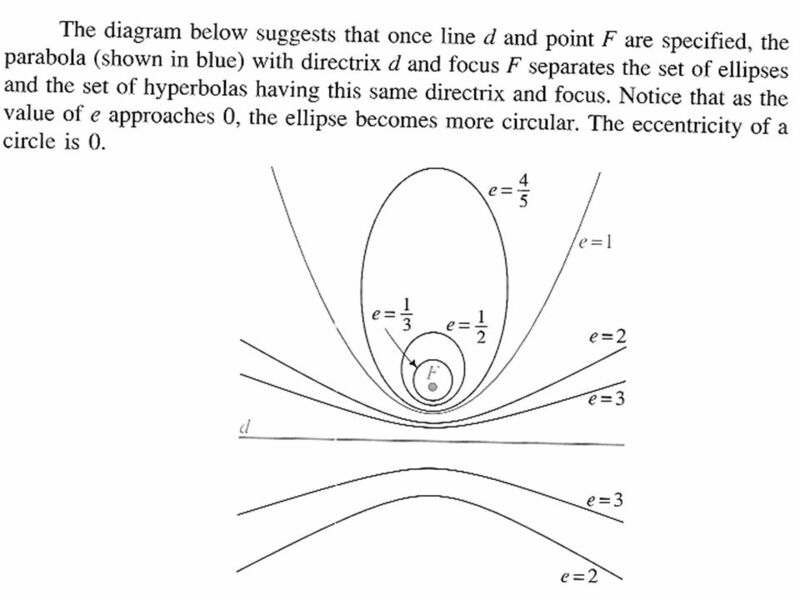 A set of points is: An ellipse if 0 < e <1 A parabola if e = 1 A hyperbola if e > 1 In an ellipse as the eccentricity of the ellipse approaches 0, the ellipse becomes more circular. The eccentricity of a circle is 0. 3 Example 1. Let the focus F be (0, 3) and let the directrix d have equation y = 12. 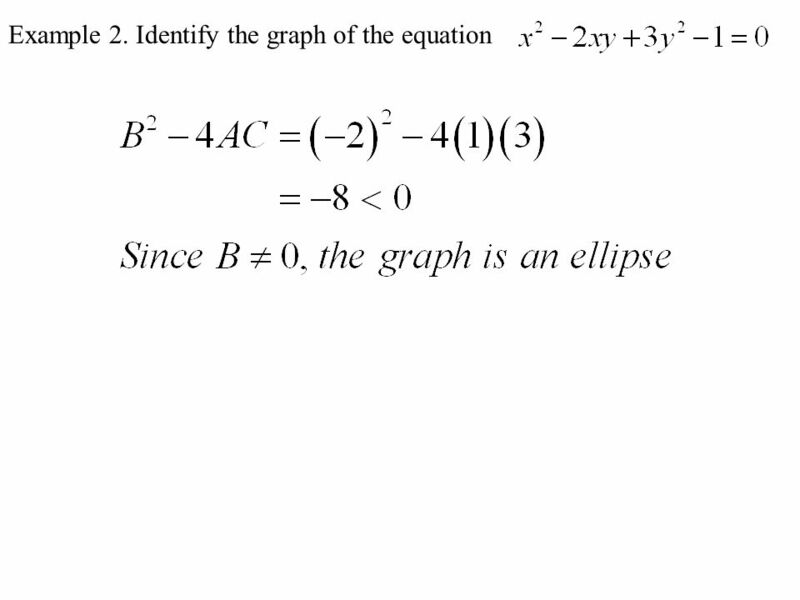 Find the equation of the set of points P for which , and identify the graph. Download ppt "A New Look at Conic Sections"
Standard Form for a Circle Where the center is (h,k) and the radius is r. (h, k) r.
Parabolas $ $300 $300 $ $ $ $ $ $ $ $ $ $ $ $ $ $100. C O N I C S E C T I O N S Part 2: The Circle. Circle Ellipse (x-h) 2 +(y-k) 2 =r 2 Ellipse x & yPoints on the circle. h & kThe center of the circle. rThe. Section 7.1 – Conics Conics – curves that are created by the intersection of a plane and a right circular cone. Adapted by JMerrill, Copyright © by Houghton Mifflin Company, Inc. All rights reserved.2 Definition: Conic The locus of a point in the plane which. Unit 1 – Conic Sections Section 1.3 – The Parabola Calculator Required Vertex: (h, k) Opens Left/RightOpens Up/Down Vertex: (h, k) Focus: Directrix: Axis. 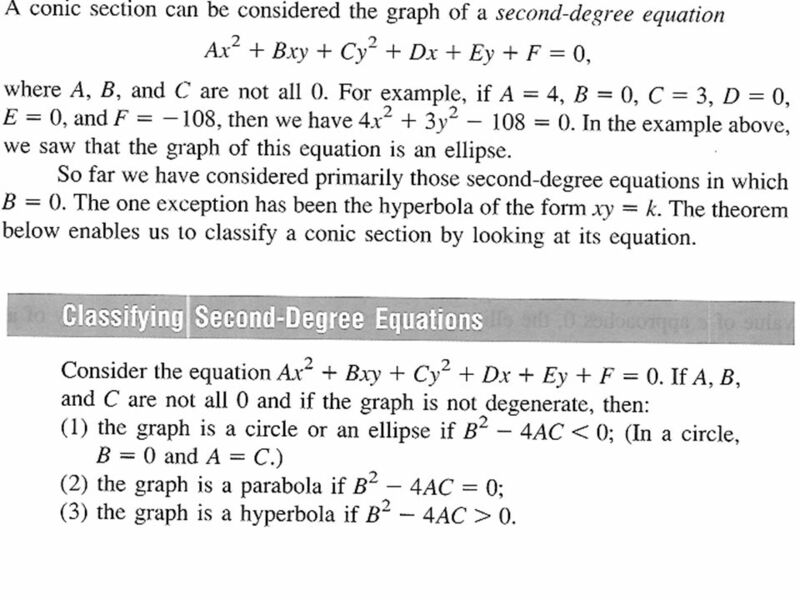 ESSENTIAL CALCULUS CH09 Parametric equations and polar coordinates. Taxicab Geometry The student will learn about: other geometric figures in Taxicab Geometry. 1. Hyperbolas Section st Definiton A hyperbola is a conic section formed when a plane intersects both cones. Unit #4 Conics. An ellipse is the set of all points in a plane whose distances from two fixed points in the plane, the foci, is constant. Major Axis Minor. What is the standard form of a parabola who has a focus of ( 1,5) and a directrix of y=11. 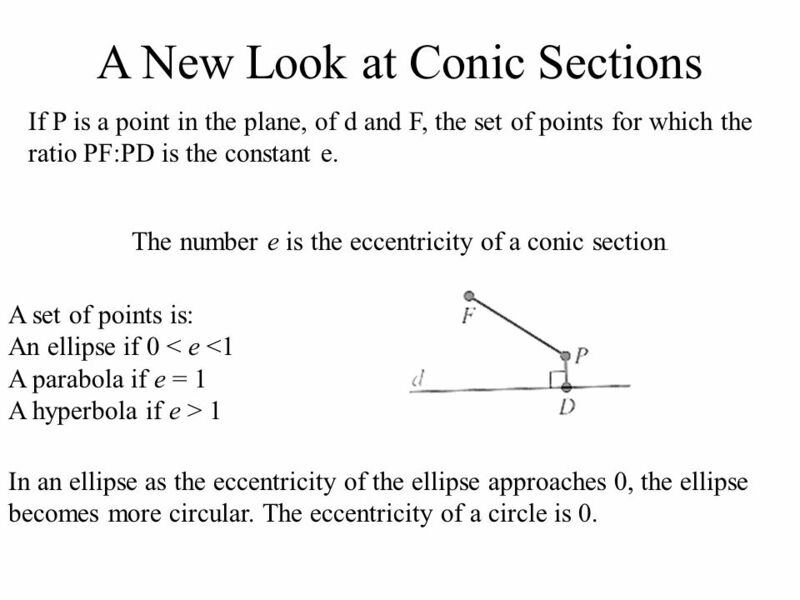 Conic Sections Advanced Geometry Conic Sections Lesson 2.